Responsive redesign with Dreamweaver and Photoshop. After collaborating with graphic artist Judy DeBusschere, I rebuilt the Jane Addam’s Children’s Book Award website in mid-2013 from scratch using the Skeleton framework system for a mobile-friendly, responsive site. 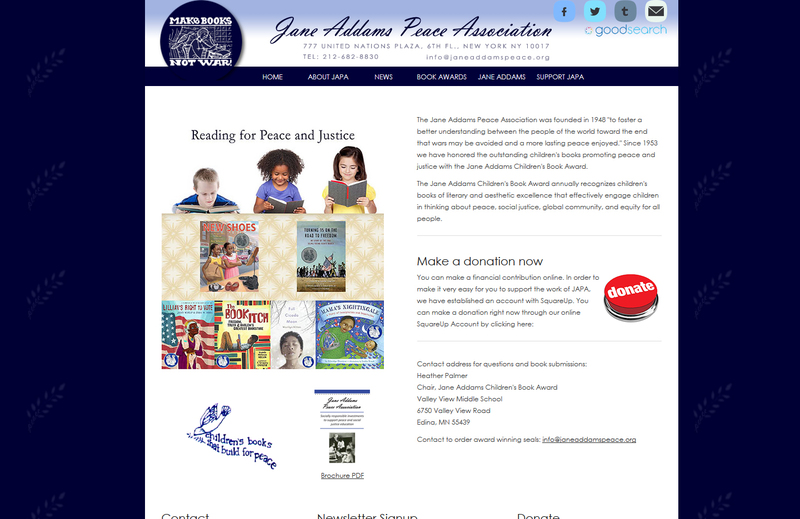 The new look and feel emphasize the peace education resources and mission of the book award. I also created a Tumblr blog for news items and emphasized the Facebook page.